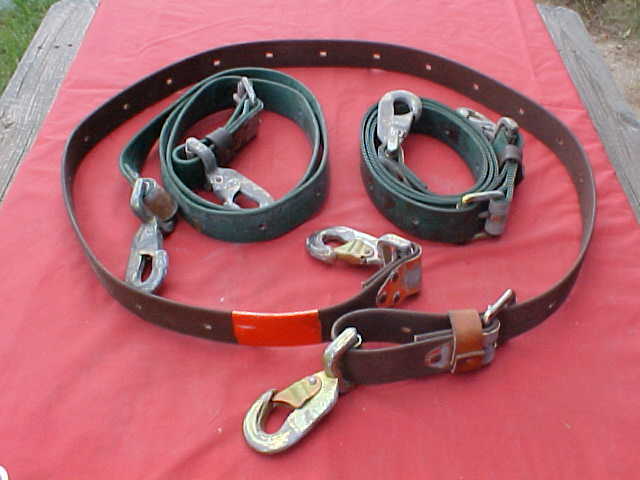 This is some extra tree climbing safety belts , I bought , I had and sold the tree climbing sets , these are some new spare belts , believed to be made by Birmingham . Nylon reinforced safety belts , , strong as Bull ! !